Are you looking for a delicious bakery in the Louisville KY area? Look no further than Nord's Bakery. We had delectable treats that will have you hooked the first time you try them! Call or visit today and get your sweet tooth satiated! From the moment of our establishment, we have committed to the creation of the best bakery goods in the community. Don't settle for less than the best when you need cookies, cakes, and pastries. Call or visit today and see what all the talk is about! Did you know cookies can cure almost all ailments? That's actually not true, but they can certainly make you feel better about most things! At Nord's Bakery, we offer beautiful cookies at a great price. Come by and check them out! When you have the craving for delectable cookies, we can hook you up! Our bakers are experts in their craft and can impress even the most skeptical cynic. Call or visit today and see what all the fuss is about, you won't regret it! About to tie the knot forever? At our bakery, we can concoct a beautiful wedding cake to compliment your special day. Our bakers are highly experienced in their craft and will happily listen to your specifications. We want your wedding cake to be everything you've dreamed of! From the moment of our establishment, we have committed to providing the good people of our community with the delicious baked goods they've come to expect. Don't settle for less than the best when you need a gorgeous wedding cake, call the experts - call us! Pastries have been around for thousands of years. While recipes and ingredients differ throughout cultures, it remains a consistent go-to for anyone with a sweet tooth. At our bakery, we have all the delicious pastries you could possibly want to try! From the moment of our establishment, we have been building a reputation for the best in cookies, pastries, cakes, cupcakes, and everything in between! Call or visit today and see why everyone in the community wants to eat at Nord's Bakery! Are you in the mood for donuts? 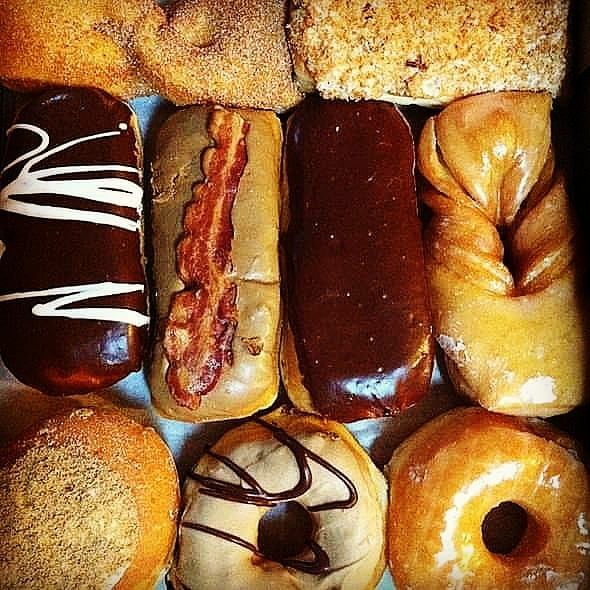 Donuts have been around for centuries, and are one of the truly innocent pleasures in life. If you're a fan of the glazed or jelly-filled gooey goodness that donuts have to offer, come check out Nord's Bakery! From the moment of our establishment, we have tried to produce the best in baked goods for the good people of Louisville KY. For any questions about our wonderful products, call or visit our store today! We will satisfy your taste buds as you've never experienced before!